The thrill of discovery is everywhere in our paradise. In, over, under and on our water are new experiences by the eyeful. Before, during, and after it became Florida our paradise captured the imagination and hearts of adventurers, visionaries, and lovers of beauty, sport and nature's exotica. It continues to call those of us who thirst for new and wonder filled experiences. 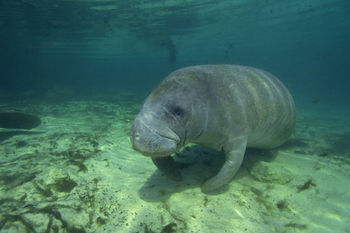 See Manatees - Take the whole family on this exciting 1½ hour private boat trip into a remote Everglades manatee hideout. Trips are by appointment only ~ Call Captains Barry and Carol at 239-642-8818. Captains Barry and Carol Berger offer guaranteed private manatee sightseeing trips (for a maximum of 6 passengers), giving you the unique opportunity to get up close and personal with these amazing gentle creatures . . . and if you don’t see a manatee you don’t pay for the trip! 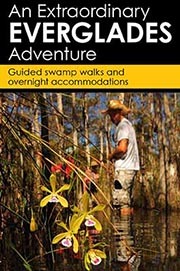 Speedy Johnson's Airboat Rides - A Florida Everglades Airboat Adventure Like No Other! 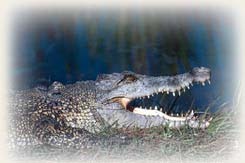 Naples Zoo at Caribbean Gardens - Rediscover natural fun in the heart of Naples. Explore this nationally accredited zoo with animals from alligators to zebras blended into a historic botanical garden - two attractions in one! See Tiger Forest, Panther Glade, and African Oasis. Enjoy exciting wildlife presentations all day and a cruise past islands of monkeys. The Gold Coast, as the southeast coast of Florida is called, hugs the Atlantic coastline for more than 60 miles. Within this endless shoreline are several well-known beach communities-Jupiter, Palm Beach, Fort Lauderdale and Miami, to name a few.